If you are experiencing symptoms that are consistent with esophagus cancer, Dr. David Yamini will use an endoscope and order testing of tissue taken from the suspicious area of the esophagus. It is important that any type of cancer is diagnosed quickly in order to help assure the best-case treatment options for the patient. 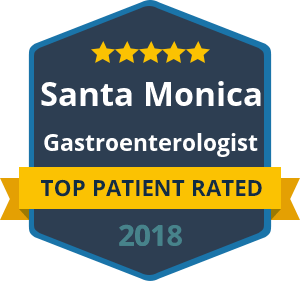 Dr. Yamini will provide patients with a comprehensive consultation prior to carrying out an endoscopy and biopsy to determine if there is any cancer present. As a follow-up precaution to diagnosing esophagus cancer, Dr. Yamini may perform further testing to establish whether the cancer has spread. Treatment of esophagus cancer depends on how much of the area has been impacted by cancerous tissue. Surgery to remove small tumors is the primary option for patients who have been diagnosed early. However, if the cancer has spread significantly, patients will require surgery to remove portions of the esophagus and stomach. Dr. Yamini will discuss all treatment options as part of a one-on-one consultation. Esophagus cancer symptoms may include difficulty swallowing, unintended weight loss, chest pain, severe indigestion, coughing and hoarseness. If you experience any of these symptoms or are concerned about other conditions related to the esophagus, it is important to seek a consultation with Dr. Yamini right away. There are multiple conditions that affect the esophagus, which have potentially life-changing implications. Many of these conditions will worsen with time, which is why early intervention is always the most appropriate approach to treatment. Dr. David Yamini feels passionate about treating patients who are facing the news that they have esophagus cancer. You will find compassion, understanding and comfort when you trust your care to Dr. Yamini. Contact our practice today to arrange a consultation in Santa Monica or Beverly Hills, California.